Sassy Bass Caribbean Grille is a beautiful location to have your event. We have inside and outside dining. Our downstairs has a bar and dance floor which is open to the Marina. 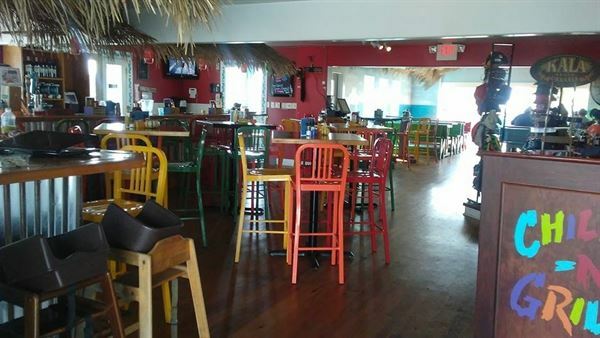 This tropical theme bar and grill offers some of the best of the Caribbean from island music to the best foods… conch fritters, Cuban sandwiches, black beans n’ yellow rice, plantains and of course, de famous Fish in a Tin. Sassy Bass Market Place has all your vacation and every day needs close by! Whether you’re looking for a place to grab a bite, groceries, liquor or beer, beach and fishing supplies or souvenirs, we have got you covered. Contact us for more details.